While the cat's away, it's time for you to play! In other words, while many of the authors of Killer Characters converge on Malice Domestic (a convention celebrating the traditional mystery), I've left you a devious little puzzle containing the names of 20 vintage toys that Liz McCall told me she always has on hand in the shop. The bad news? I'm not giving you the list of words. The good news? You only have to find five of them. The better news? 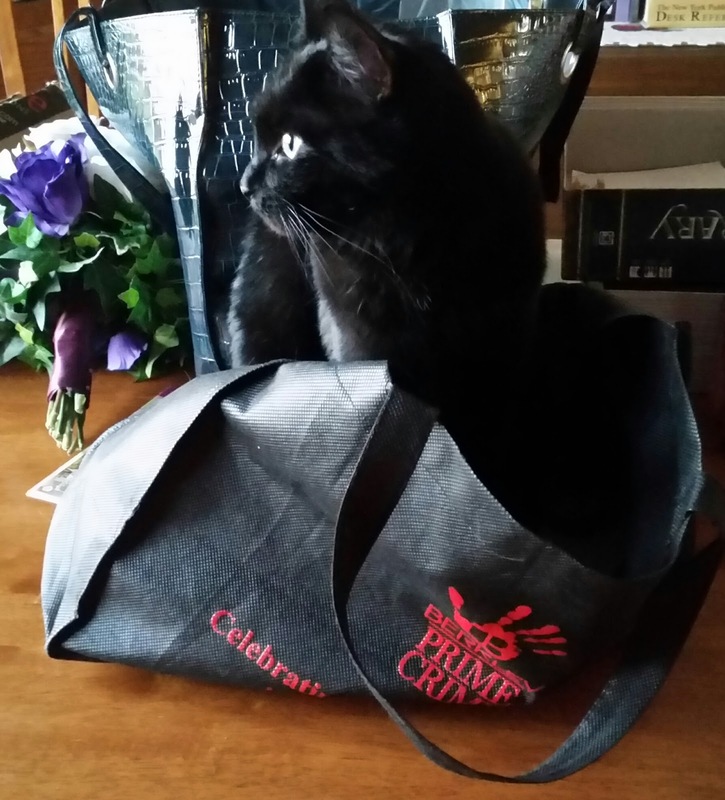 You could win a fabulous mystery swag bag filled with items collected at the conference! 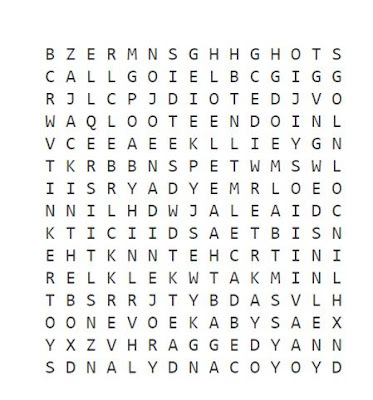 Find five toys in the puzzle. Enter them in the Google Form I've created: here. Please don't post the words below! Once I've returned home and unpacked and started my laundry (Think Tuesday, May 2nd), I'll randomly choose a winner from the correct entries. What a fun way to do a giveaway! This was so much fun -- thanks for letting us play a game! I had a blast doing this! Thank you for putting it together, and for the chance to win! Lots of fun. I like word search puzzles. This was nice. Thank you. It was fun. We need more puzzles! Nice walk down memory lane. =) Thank you! I like word search puzzles too! Great challenge for this snowy Monday morning!